Celadrin is a medically and clinically proven Joint Health compound developed through a proprietary process of esterifying oils. Celadrin is an innovative, all natural ingredient, which has been medically shown to reduce inflammation and pain with no side effects. Along with its many studies and scientific presentations, Celadrin has been published on two occasions in the internationally acclaimed Journal of Rheumatology. Celadrin systematically enhances and lubricates cell membranes throughout the body providing youthful cell fluidity and elasticity. This includes the enhancement of fluids that cushions your bones and joints to maintain flexibility and mobility so that people can move with ease and pain free. Celadrin has been proven to provide cumulative (continuous and restorative) benefit. In a double blind clinical trial, oral Celadrin showed significant benefit beyond the arthritic medication the subjects had been taking - with cumulative improvement shown throughout the study. Celadrin, available for either oral or topical applications, enhances cell membranes throughout the body and restores fluids that cushion bones and joints to promote flexibility and mobility. Celadrin has been shown to be very safe & efficacious as evidenced by gold standard, double-blind, placebo-controlled clinical & scientific studies. 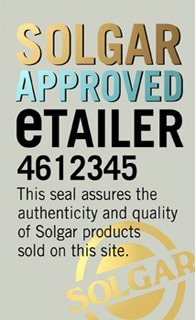 Solgar supplies several different Celadrin supplement products such as Solgar Celadrin 525mg Softgels 60 Capsules And Solgar Celadrin Glucosamine Complex 60 Tablets.